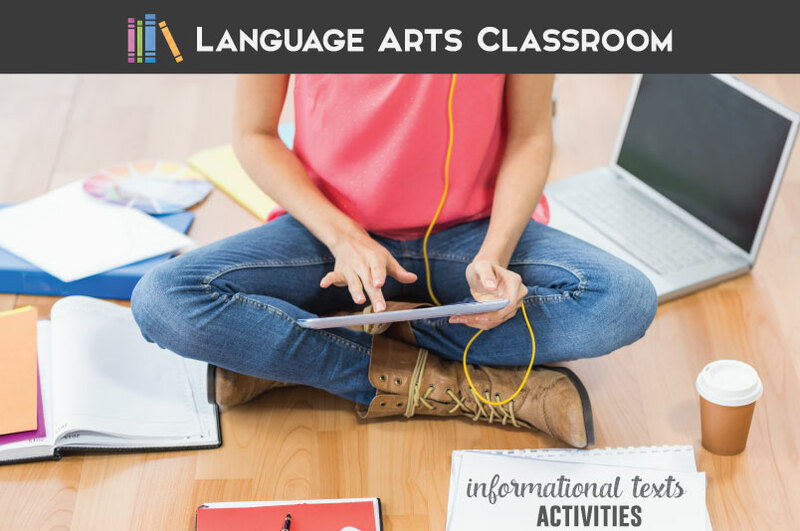 Do you need informational texts and activities? Look no more! Don’t let informational texts seem like a “downer” in your classroom. Find texts that are meaningful to teenagers. Look for the debate presented, and allow students to research those ideas. Switch up methods of presentation! Ok, I know what needs to happen, but I always want new ways so that students aren’t bored, so that we achieve optimal learning. Because education works best with collaboration, I asked four of my teacher-blogger friends their opinions and tricks. 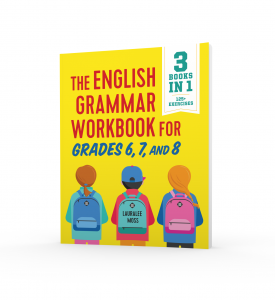 We developed ten ways to make informational texts work for you and your students. 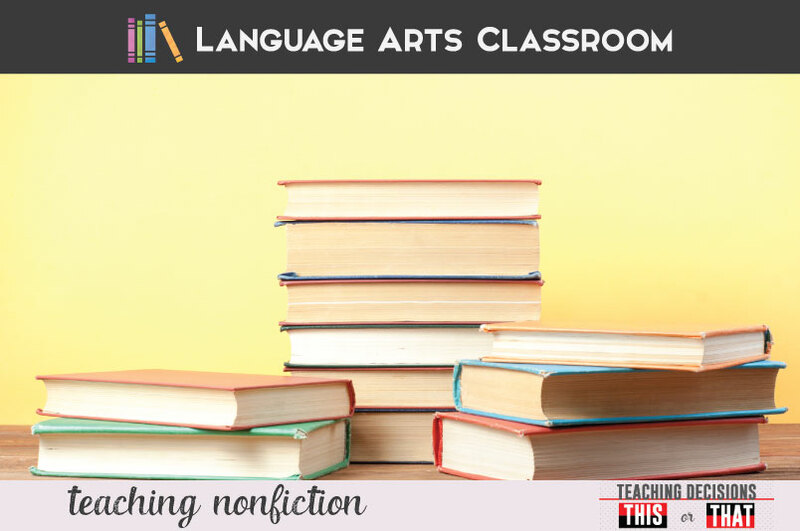 Melissa from Reading and Writing Haven acknowledges that some middle and high school students appreciate nonfiction, but not most. Her advice: When I use informational texts with older students, I have to either find one that is of high interest, or I have to work extremely hard to make the text appealing. Either way, I’ve found it helps to teach annotation skills, to focus on close reading (but not to the extent that students hate it), and to scaffold their understanding. I begin with basic tasks, like annotating, and through close reading, we build on their initial comprehension to more of an analytical read. Asking students to read and re-read with color, like this, helps them to see the layers of their understanding in a tangible way. These are the resources I use to break down the comprehension process into bite-size chunks. Sometimes students simply need help understanding their reading. Provide a variety of reading activities to focus students without overwhelming them. You can use these activities during and after reading. Melissa stresses that these are intended to be quick and concise ways for students to demonstrate their thinking so that teachers can gauge comprehension. Why not? Read nonfiction with your students, and let them reflect together. Ashley has developed these technology-based activities for stations. Students will be able to choose a meaningful way to understand the informational text. Amanda from Mud and Ink Teaching told me: When it comes to informational texts, I’ve found the best way to integrate them into my classroom is through argumentation units. First, I work to find a juicy, debatable, relevant essential question. Then, I go off to find great articles that explore multiple sides of the issue at hand. Usually, I’ll have students jigsaw through the articles learning and teaching each other about the major claims they found. 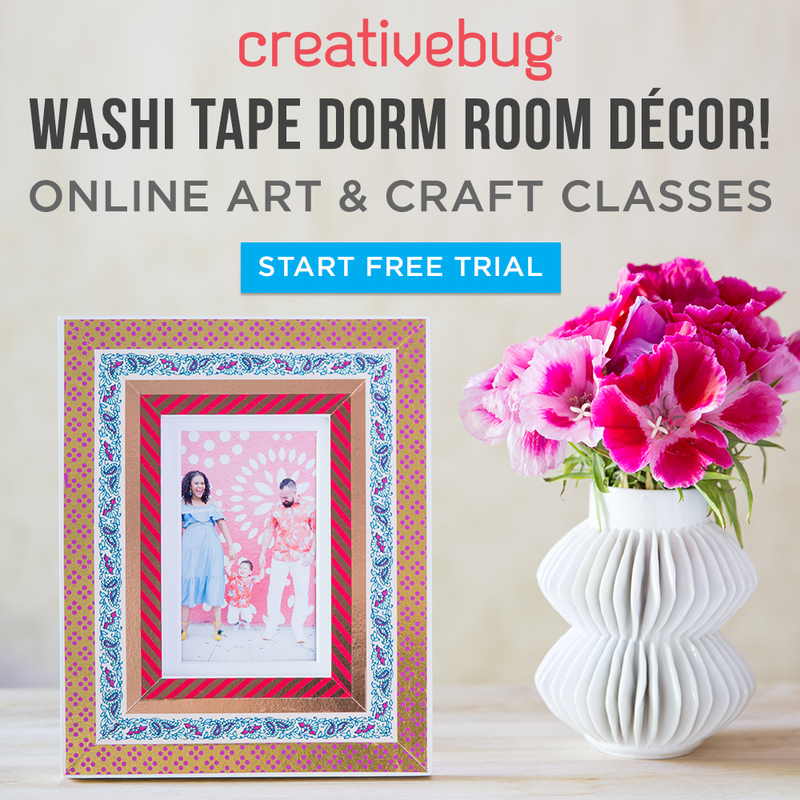 For a great pair with Romeo and Juliet, try true love or destiny. The Great Gatsby? Try what is happiness, and why is it important? Discuss a familiar concept to students: social media. Amanda says: From tragedy to political unrest, our world has been bombarded with events and issues worth our attention. One of the ways we’ve been sharing information, passing along condolences, and raising awareness is through what’s been nicknamed “hashtag activism.” Does this “activism” have a purpose, or are we simply adding to the masses? Let students question hashtags on social media, and relate what the informational texts to their lives. Abby from Write on with Miss G uses cartoons! Abby explains: I keep informational texts engaging by diversifying the texts I use in the classroom. 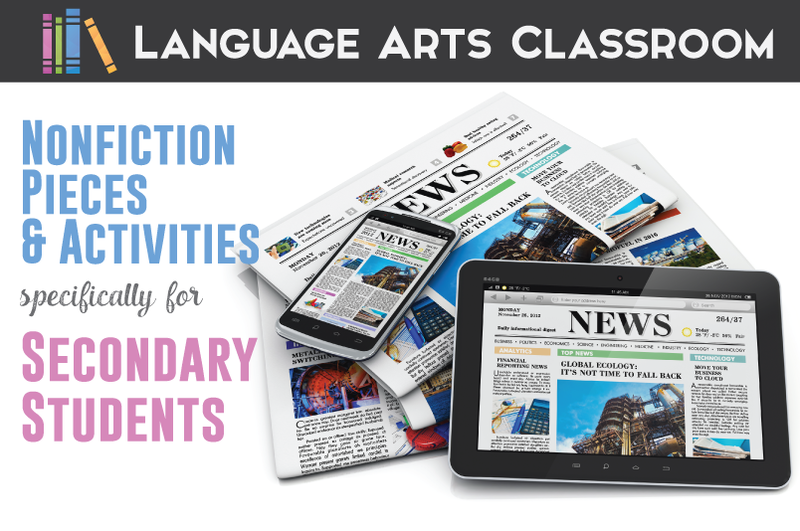 Close reading and analysis skills can be taught with traditional non-fiction articles, but also with political cartoons, TED Talks, documentaries, gallery walks with excerpts, and more. In my American Dream Mini Unit for American literature, we analyze cartoons that comment on the attainability of the dream, watch portions of a documentary that explores financial inequality, and do a speed debating activity to discuss essential questions. This is our first unit of the year, so it’s great scaffolding for the more complex texts we will read throughout the course. Once students see that the elusive skill of analysis can be practiced with videos and cartoons, it’s less intimidating to analyze a formal informational text later on. Students must understand the author’s target audience. Students may not understand that they are not always the audience. As readers and writers, students must analyze audience. Abby has her students read about the legal smoking age and analyze the structure, purpose, and audience. When I teach informational texts, I write with my students. Naturally, reading nonfiction leads to writing about the nonfiction. The biggest problem I’ve seen? Students might spend too much time summarizing rather than analyzing. Show students how to introduce a response paper and then construct a mature response. I use this free nonfiction activity to model balanced responses. Teaching in small chunks helps students retain information. I use graphic organizers to organize information in my nonfiction unit. Sometimes, I get my students to work in centers and rotate. When students understand the information, have opportunities to reflect with each other, and involve movement, they walk away understanding the lesson. I’m inspired to add and tweak my informational texts units. I hope that these ten ideas from popular educational bloggers spark a new method to inspire you and your students. 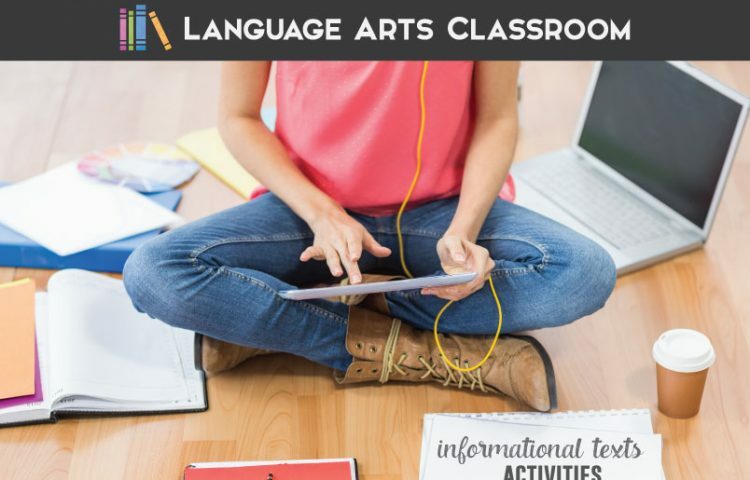 You can change your mind at any time by clicking the unsubscribe link in the footer of any email you receive from us, or by contacting us at lauralee@languageartsclassroom.com. We will treat your information with respect. For more information about our privacy practices please visit our website. By clicking below, you agree that we may process your information in accordance with these terms.